For more than three years, Mightybytes grew the national YMCA headquarters’ online presence, helping them reach digital marketing goals through continuous improvement and ongoing feature development. When we first met the YMCA of the USA team, they had just undergone a major rebrand, and needed a content management system to streamline internal content processes and set them up for future growth. They also needed a responsive retrofit, so their site could be viewed on mobile devices. Mobile wireframes helped us build consensus on how page layouts would look across devices. While the site architecture remained the same, we created wireframes for mobile views to help their team better understand what content would look like on various devices. These layouts also adhered to YMCA of the USA’s stringent brand standards. Once visual designs had been applied to these layouts, we migrated the existing pages into a content managements system, allowing the YMCA team to make their own content updates for the first time in the organization’s history. The new site provides and engaging across smartphones, tablets, desktops, and other devices. A functioning content management system dramatically improved YMCA of the USA’s ability to create and approve new site content, which saved the organization time and money and empowering site admins to be more strategic in their content creation, management, and marketing initiatives. The success of this initial partnership laid the groundwork to strengthen our relationship. 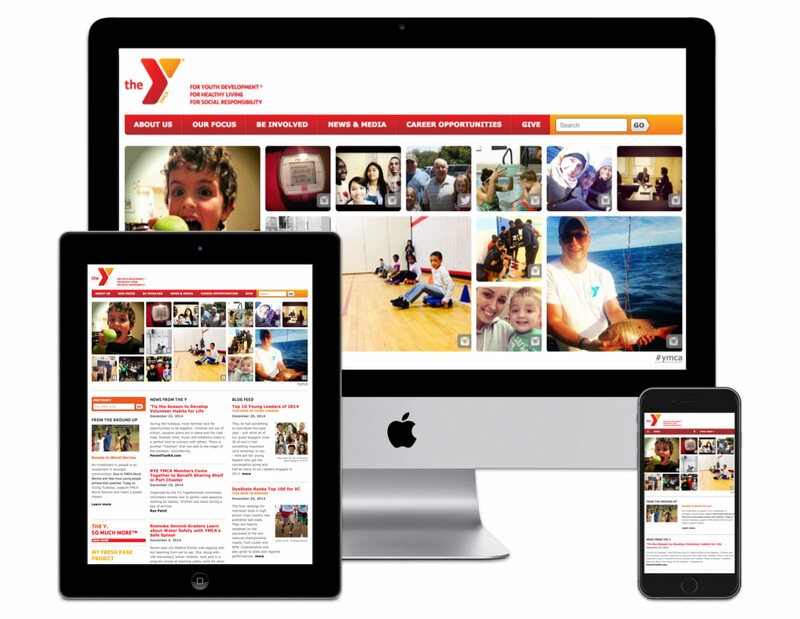 We continued to help YMCA of the USA meet their digital marketing goals for three more years. This included ongoing site maintenance, designing and developing scores of new website features, and updating their marketing content so that it better served user needs while more clearly communicating the organization’s inspiring message to build healthy spirit, mind, and body for all.